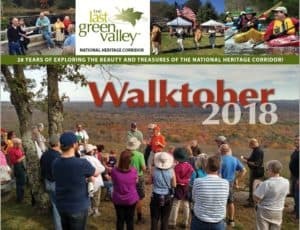 EXPLORE your National Heritage Corridor’s 35 towns in eastern CT and south-central MA during Walktober 2019 with hundreds of walks, hikes, historic tales, paddles, bike rides, farm visits, and more offered by dedicated & passionate Walktober leaders and the generous sponsors that make it happen. Thank you to them all! Walktober Leaders, sign up now! The deadline is June 3. You can use this easy online form. Contact Fran@tlgv.org with any questions. *There is just one requirement to offer a Walktober; either you or your organization should be a proud member or partner of The Last Green Valley. The 2018 Walktober Brochure is still available for inspiration! 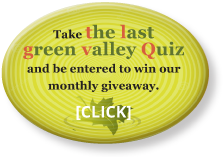 Keep up to date with what is happening all year long in The Last Green Valley on our Facebook page, too! Together we care for, enjoy, and pass on our National Heritage Corridor.